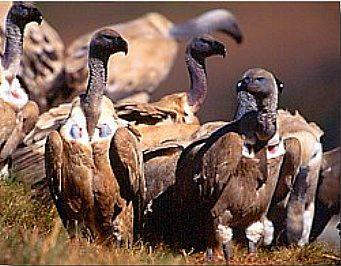 I had to come back to these guys - the African vultures. One is ugly, but a whole flock of these birds is abominable. 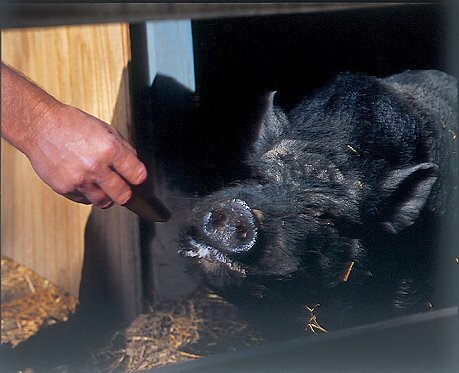 Even when they aren't actively eating carrion, the stench from these animals has got to be horrendous. 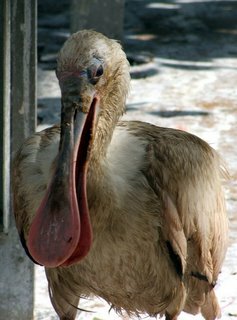 I challenge any of you to find even one attractive, much less cute, animal that eats carrion as its primary source of sustenance. Go on! Try it! 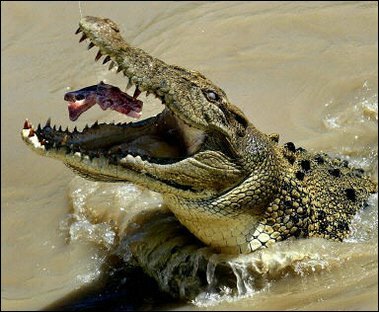 Alicia Sorohan, age 61, was honored with a bravery award for wrestling one of these giant, ugly, saltwater crocodiles that had drug one of her friends from a tent. This Aussie lady might be one of the coolest grandmothers ever. Here is the full story. 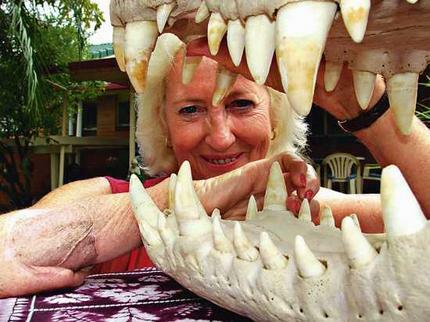 But I believe this picture of her peering through the skull and jaws of the beast she fended off tells it all. 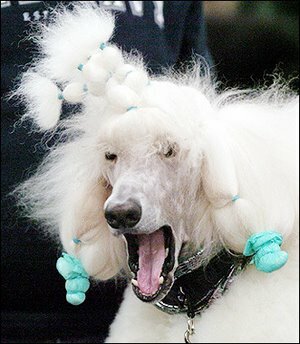 Despite the fact that we have World's Ugliest Dog contests, it is difficult to find true ugly photos of dogs (unless they are a Chinese Crested - stay tuned). This mutt, though, complete with her Rasta dreads make the grade. I'm surprised at the snow, though. I would have expected a sandy beach and at least some steel drums. 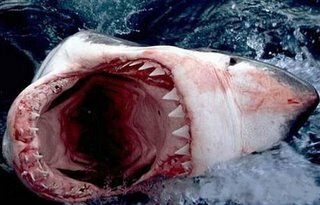 Most Great White Shark open-mouth shots look like one of those 'last photo ever taken by this camera' images that are passed around the internet. This particular photo is a classic. There are few beasts as monstrous-looking as this fish. You can bet that this fellow's companions will be frequent guests at Ugly Overload. Say hello to Ogre, one of the ugliest pigs on the web. Pigs are a naturally ugly animal, but Ogre takes it to a new level. He has paid no attention to his health, and he desperately needs to tend to his hygiene. At the rate he is going, he will be good for nothing more than websites like this, or the griddle. These photos are brought to you by Lisa, and taken by Nancy Lee Andrews. Thank you both. These hairless Sphynx cats are fast becoming a favorite animal on Ugly Overload. These two lovely photos were submitted by one of our readers, Sgorby. 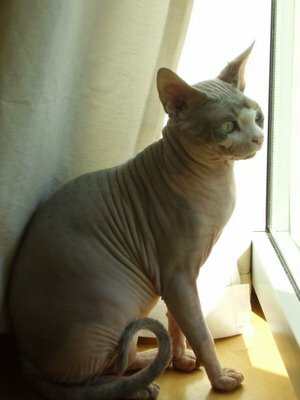 I know they have unusually large ears, but are all cats so wrinkly under their fur? I hope not - I might never pet one again. Thanks for the pics, Sgorby! This pelican is most likely just begging, but do all their mouths look like toilet bowls when fully opened? What must their breath be like? We were looking for a good picture of the Banana slug, and found this one taken by Danielle. Look at the detail! Have you seen so much ugly mollusk so close before? What a great shot! These animals are native the the forested coastal regions of North American, from Northern California all the way up to Alaska. 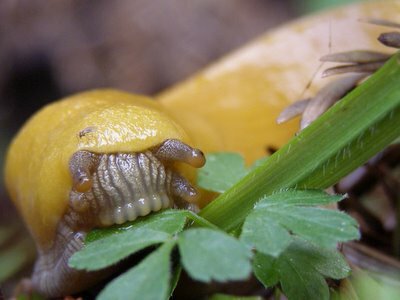 These benign creatures - who are the second largest slug on the planet - have captured the hearts of many, and are even the school mascot for UC Santa Cruz. My experience with this slimy denizen involved me picking one up because I thought it was a doggy toy. That was a pleasant surprise. Also, in case you were wondering, they don't taste anything like bananas. 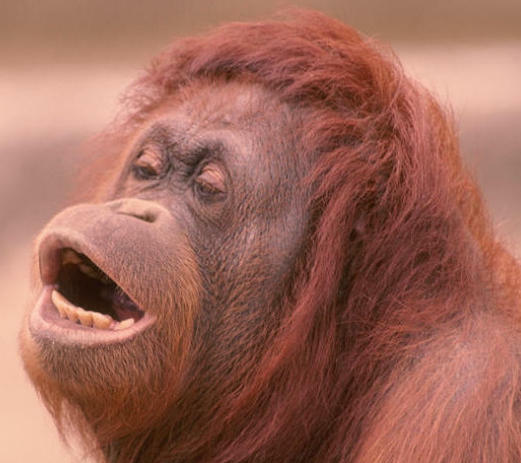 I love orangutans because they make no attempts at hiding their looks. This lady seems to take particular enjoyment in giving goofy poses to the camera. She is proud of being ugly. Good for her. 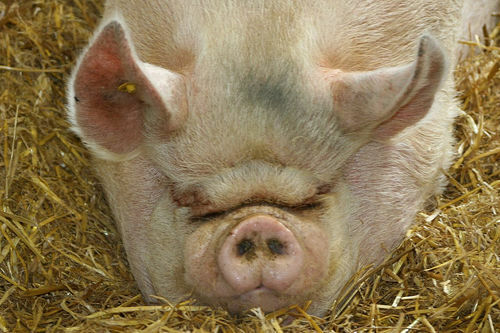 This ugly pig must have been crossed with a bat. Dr. Moreau would be so proud. Is he squeezing his eyes to keep himself from staring in the mirror? 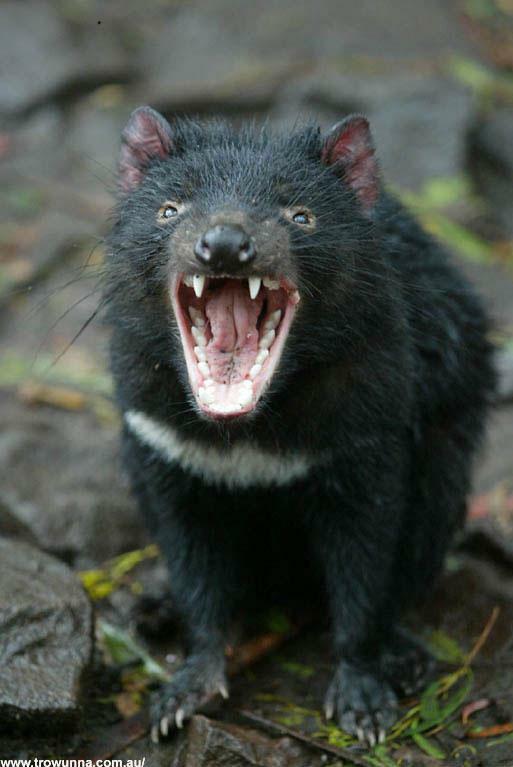 Here we have the Tasmanian devil, the world's largest carnivorous marsupial. These nocturnal beasts are scavengers, and will eat just about anything. When it comes to eating animals, this ugly creature eats its prey (or carrion) in its entirety - bones, hair and all. They are ill-tempered and make an awful screeching noise. Thankfully - and surprisingly - they are not endangered (thanks to steps taken to preserve this once-threatened animal), and are flourishing just fine on the island of Tasmania. They were once found on the mainland of Australia, but it is believed that the arrival of the dingo, some 600 years ago, killed them off - relegating them to only the island. 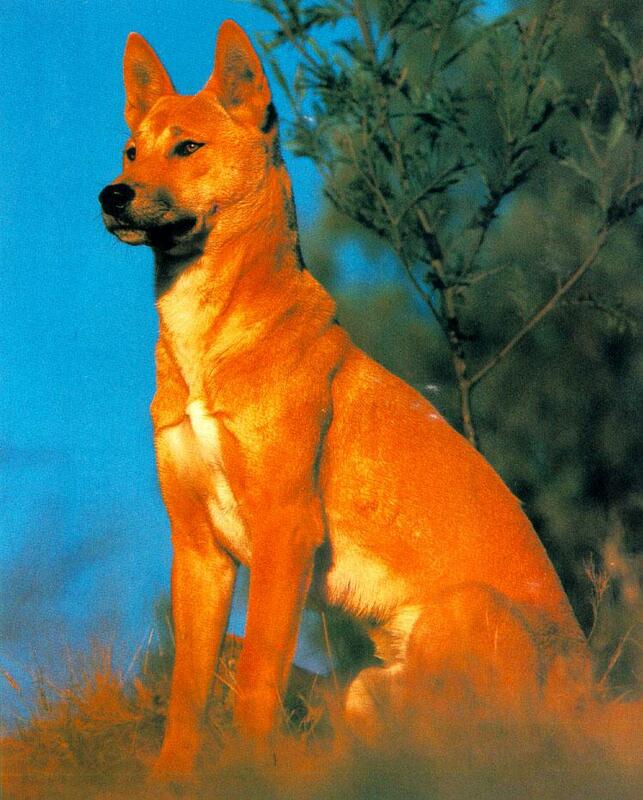 In the wholesome spirit of vengeance, I will try to find an ugly photo of a dingo, to vindicate the devil. That will be no small task, as the dingo is a naturally handsome animal. It is worth a try, though. Your help would be appreciated, though. 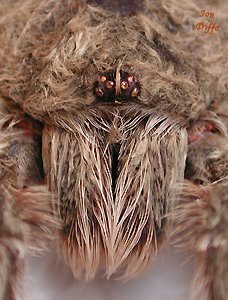 The goliath bird-eating spider demands a special, multiple image post. 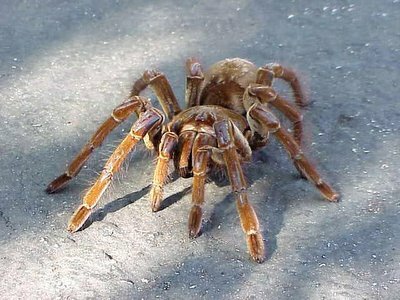 Partly because I suffer from arachnophobia, but mostly because it is the largest, ugliest spider on the planet. Remember those old, long-play vinyl records? One of these abominations can grip the edge of one with all eight legs - that's how large they are. In fact, they hold the Guiness Record for the the world's largest spider. These spiders are denizens of Brazil and several other northern South American countries. Can you imagine walking down the street and seeing one of these approaching you on the sidewalk? In case you were wondering, they do in fact eat spiders. To repeat, they are that large. These fangs should be proof enough - and this one isn't even close to being full grown. Next, imagine you go to sleep one night in your peaceful Brazilian home. You aren't afraid - you haven't had a neighbor get eaten by a jaguar in over a week. And those goliath bird-eaters? Well, they aren't really dangerous to people. But then you wake up in the middle of the night. You feel a weight on your chest. You open you eyes, and see this face. That is when you die. Not very dangerous to people? What about heart attacks and dying of fright? If David had to face this Goliath, I am not sure the confrontation would have turned out so well for the young prince. 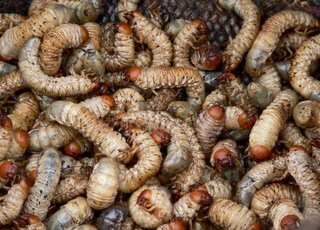 Years ago, the sugar cane farmers of Australia introduced the cane toad to control the scarab beetle population, which was damaging the cane crop. It worked, but there was an unintended consequence. They now had one more very ugly animal in their midst. 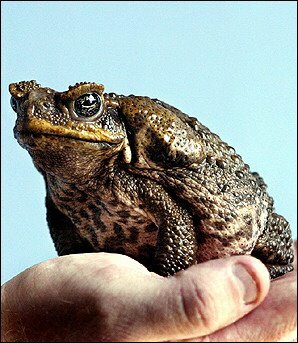 This warty creature is now considered an ecological disaster. They are wreaking havoc on local animals species and are poisonous. As they say, hind sight is 20/20. The Westminster Kennel Club Dog Show produces a number of beautiful, prize-winning dogs. Here is Ike, a standard poodle, caught in a not so attractive pose. 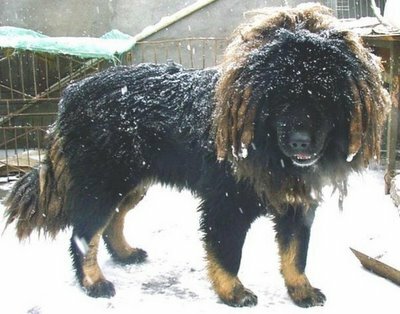 What disturbs me most is that the breeders of this dog have taken a noble animal, bred for hunting, and turned it into an absolute mockery. Have you no respect for man's best friend? Must you do this, and render an otherwise handsome animal so ugly? I know that this dog is probably worth more that I ever will be, but I still hold you in contempt. I hate spiders. I normally appreciate any animal that specifically hunts and eat spiders. 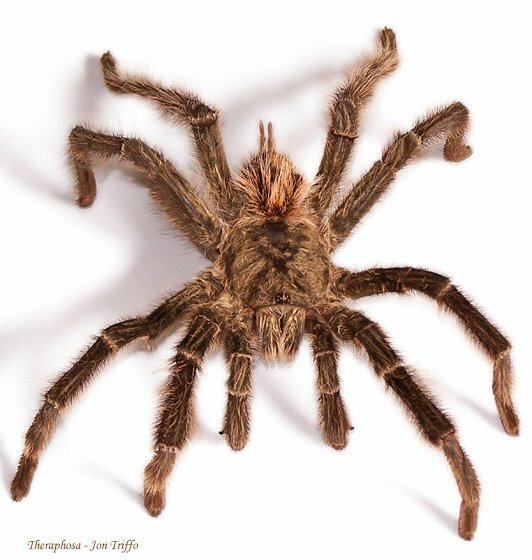 Not this one, though, because it is a spider itself. Allow me to present an Assassin spider. 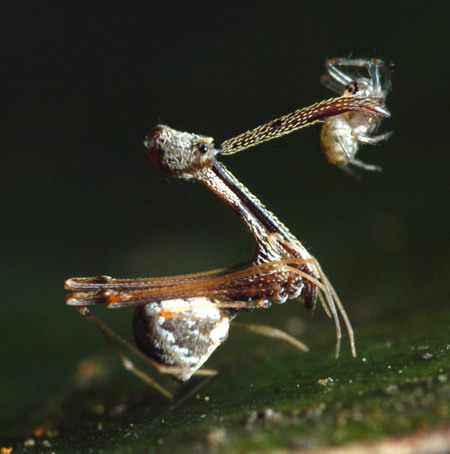 This ugly arachnid has fangs and jaws that are 10 times longer than your average spider's. To keep their oversized mandibles from dragging on the ground, they have grown very long, giraffe-like necks. Once they find a bite-sized spider, they stab it with their venomous fangs - see below. Though these creatures are truly abominable, they are thankfully tiny. Their size is the only characteristic that mitigates their ugliness. 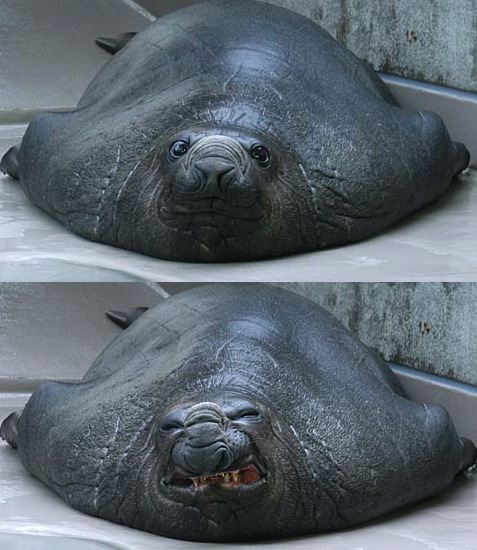 Among the sea mammals, one of the ugliest is the elephant seal. Thankfully, this one is well aware of that fact and hams it up for the camera. You have to admire an animal who is so comfortable with its own ugly appearance. If only humans could find such inner peace. 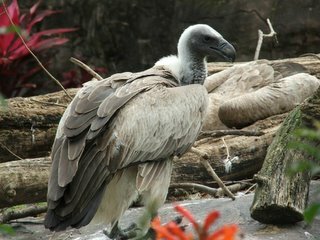 Here is the long overdue African vulture. When you search for these birds online, you get a lot of sob stories about how they are persecuted and misunderstood. Here's what you need to know. They eat carcasses. Their heads are largely bald so that when they stick them inside bloated corpses, they won't come back out too covered with festering diseases. That pretty much sums them up. True, they form a vital function within the African biosphere, but boy are they ugly. Would you like one as a pet? Would you like a flock of these hanging out in your backyard? Didn't think so. This is where we need some help. What kind of bird is this? I asked the photographer, ERIO, and he didn't know either. Any ornithologists around that can give us a clue? 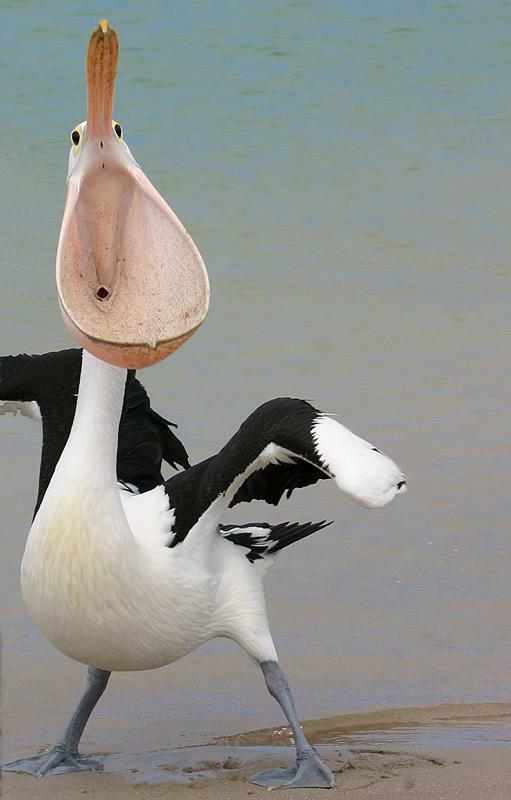 Here are some key characteristics - it is big, has a spoon-shaped bill, and is ugly. Does that help? Proving that anything is possible, we have procured the (thought to be) impossible to find. Thanks to Mark, we now have a photo of an ugly baby monkey. Don't let those big brown eyes or that tender expression fool you. 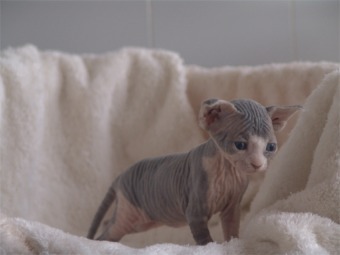 Instead, take a look at those goblin ears and the wrinkly skin. Thankfully, its mother still loves it. 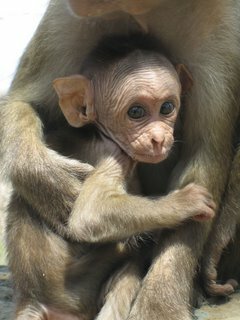 True, the little fella will most likely grow to be your average-looking monkey, but for the time being it is ugly. Thank you Mark for your keen eye and photography skills. 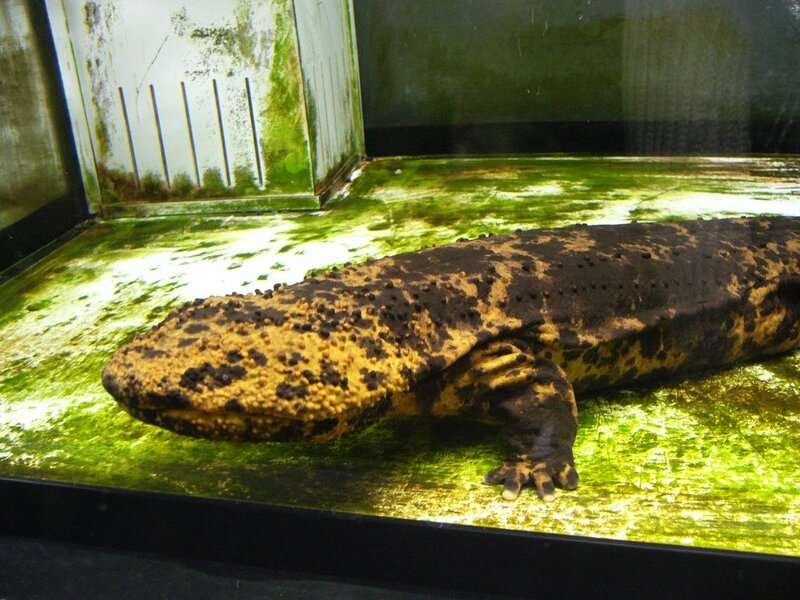 Behold the Giant Japanese Salamander. These ugly amphibians grow to a length of 1.5 meters - over four and a half feet! That is quite a bundle of slimy, warty ugly. But, this creature is only the second largest salamander in the world. Which is the largest? Wait and find out. 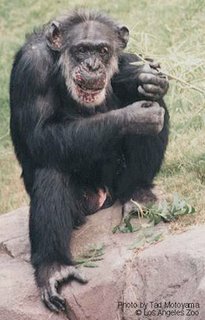 This old fella, a chimpanzee, is a long time resident of the Los Angeles Zoo. Can't you picture him getting grumpy and curmudgeonly, growling in his wheezy voice at the young chimps about how hard things were back in the day? "Why, when I was your age, no humans came in to clean up our poop. We had to throw it at them! Like this ..."
We at Ugly Overload embrace cultural diversity. Except in this case. This photo wasn't taken from the set of Fear Factor, it comes from a marketplace in Madagascar. That's right. People wander from vendor to vendor, perusing the baskets of worms, looking for the most juicy, ugly, and tasty specimens for that night's dinner. I can only hope that there is good reason for this. Who knows, maybe they are quite delicious, and taste like chicken. I'll withhold my judgment of the good people in Madagascar for now, but they better start explaining themselves. 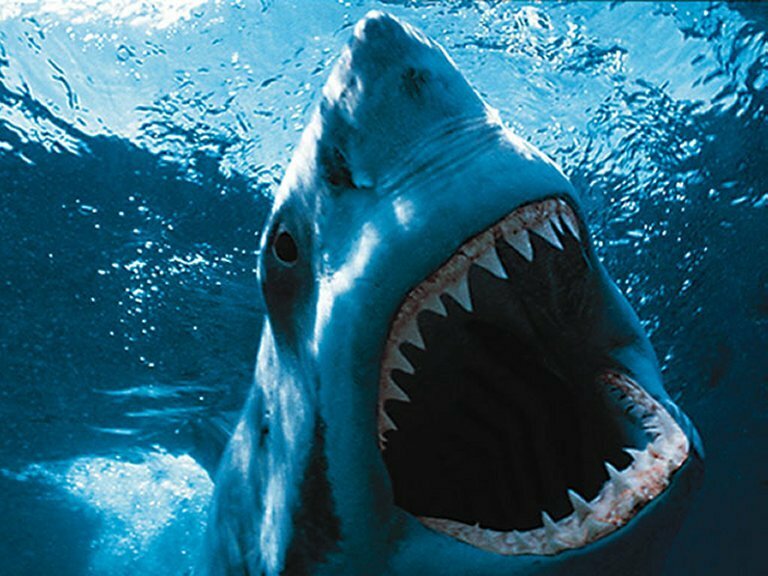 The Great White Shark looks ugly and menacing from any angle, but the person who took this shot probably wasn't thinking the word 'ugly' at that moment - it was more likely an expletive. These fish can grow to be 20 feet long, and over 5,000 lbs. They cruise cold, open waters, and dine on seals and the occassional human. Did you know that the Great White is the only apex predator not domesticated or tamed by man? I imagine trying to find something useful for a shark to do, and a tank large enough to accommodate one, might be the main reasons for that, but this mouth might have something to do with it, too. This chap is a denizen of the San Diego Zoo, in California. This crocodile's smile reveals a nasty row of teeth. By the time he has reached old age, he will have gone through as many as 50 sets of them. Now, that keeps the tooth fairy very busy. 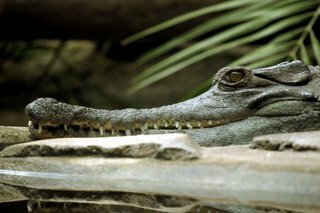 These members of the crocodilia order take pride in having survived for hundreds of millions of years in roughly the same form. Hey, if ugly works for you that well, keep it up. This friendly walrus is even uglier than others of its species, because it lacks their characteristic tusks. These giant mammals of the sea can reach a staggering weight of up to 4000 pounds (over twice as much as most horses). Unlike those horses, though, it is not muscle that weighs down the walrus. Oh no, it's layer after layer of fat. So, let's see. 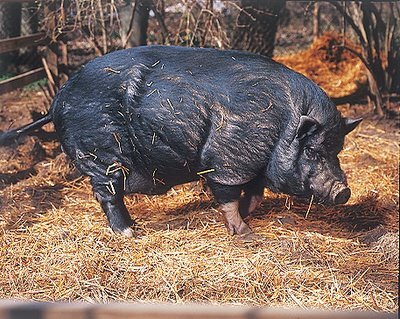 This animal is ugly because it has enough fat on it to make President Taft look skinny, and the reason for this bulk is to survive frigid waters. My solution? Move to the tropics. 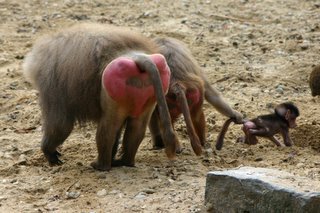 Baboons make it too easy. Do I really need to comment here? At least the baby has some sense in trying to run off. The mom won't have it, though, "Come back here, you ugly piece of -"
We want to extend our heartfelt thanks to Mafo for bringing to our attention a treasure trove of ugliness. 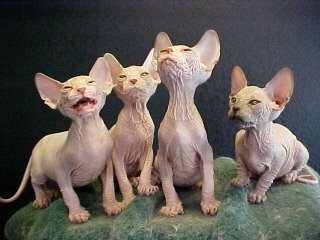 We have featured the Sphynx cat before - that hairless wonder, both loved and feared - but the photos found here are true jewels in the crown of ugly. Take a look at these four. I had no idea these animals were so wrinkly. We will be meting out more of these pictures sporadically, to share the wealth and to remind us all of the ugliness that persists in the world. 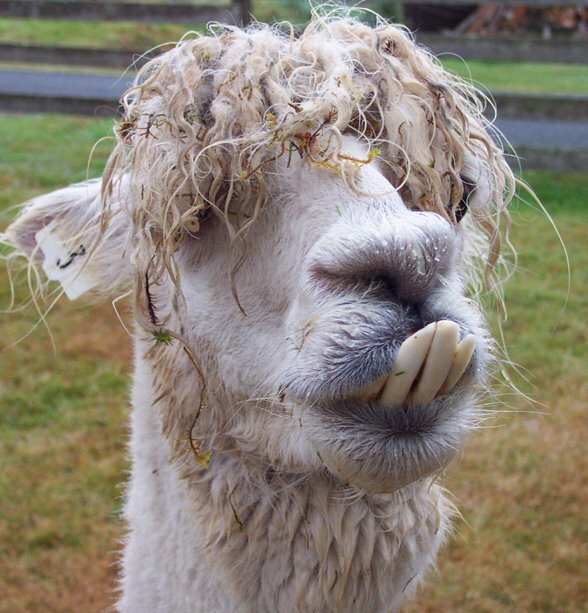 Meet Mucho the Alpaca. He looks like a friendly enough hombre. His attempt at humor with that hairstyle of his just might compensate for his looks. Alpacas make for great fodder for Ugly Overload, along with Llamas and camels, but this one takes the cake so far. Thankfully, these animals serve a purpose in this world beyond enteraining us with goofy mugs like this - they provide wonderful textile materials.